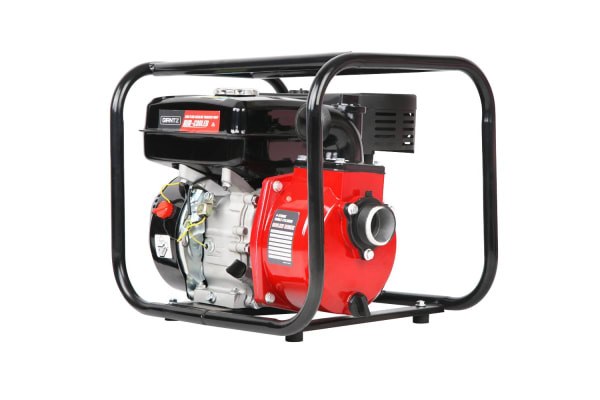 Featuring 50mm (2”) inlet/outlet and a class-leading flow rate of 30,000L/h (500L/min) with a total head of 50m, the hardworking Water Pump is coupled with a powerful 235cc, 3600rpm 4-stroke engine that easily transfers water up to four storeys high with minimum fuss. With the Water Pump’s centrifugal pump and superior impeller design, pump discharge loss is reduced. The suction entry on both sides of the impeller provides an axial balance to the impeller, which offers full range pump performance linear to engine throttle. 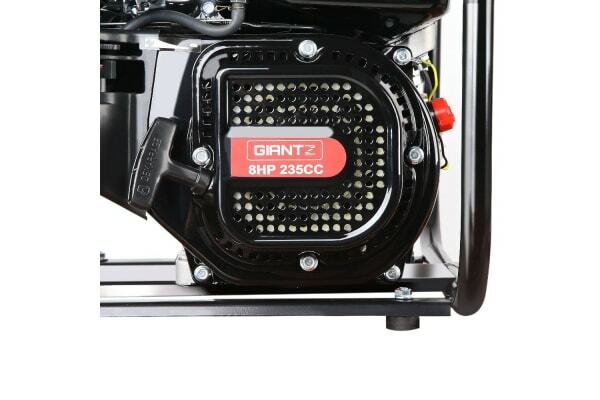 The motor assembly is housed in an anti-corrosive tubular steel frame. Not least, ceramic and carbon seals offer great durability and longlasting use. A convenient sized 4.5L fuel tank means it can run for hours on a single fill (load dependent). 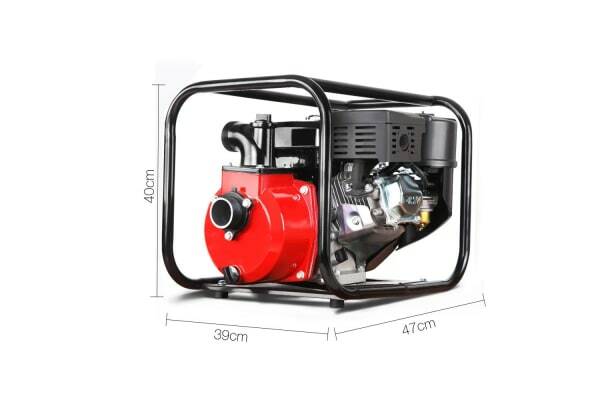 Other great features include a 100% duty cycle that’s designed for continuous operation, an ultra-fine air filter, easy start pull system, shock-absorbing and noise-reducing rubber feet and bonus hose fittings and inlet filter for a hassle-free setup.